For Nexus Summit 2019, the National Center for Interprofessional Practice and Education is calling for abstracts for peer-reviewed skills-based workshops, Lightning Talks, professional and student posters, and Resource Exchanges, which will take place during the Nexus Fair. All peer-reviewed categories will be asked to respond to one or more of the Summit themes. Please refer to the Call for Abstracts on the Nexus Summit 2019 homepage for complete submission details. In support of improving patient care, this activity is being planned and implemented by the National Center for Interprofessional Practice and Education. 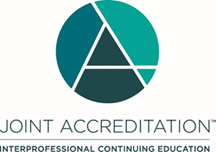 The National Center for Interprofessional Practice and Education is accredited by the Accreditation Council for Continuing Medical Education (ACCME), the Accreditation Council for Pharmacy Education (ACPE), the American Nurses Credentialing Center (ANCC), and the Association of Social Work Boards (ASWB) Approved Continuing Education (ACE) program to provide continuing education for the healthcare team. Our intent is to provide accreditation and continuing education credit for the workshops and Lightning Talks at the Nexus Summit 2019. Presenters will be required to comply with all Joint Accreditation guidelines, disclose all financial relationships, and work with the National Center to resolve all conflicts of interest prior to the Nexus Summit 2019. The National Center invites interested parties to submit abstracts for the Nexus Summit 2019 in five different areas: skills-based workshops, Lightning Talks, Nexus Fair Resource Exchange Stations, and Professional and Interprofessional Student poster sessions. You may submit for more than one submission type. A new submission will need to be completed for each submission type. Skills-based workshops are 60-minute active-learning sessions. Workshop leaders will offer actionable knowledge and will present specific skills and/or competencies needed to optimize clinical learning environments, better align education and practice, optimize teams and the workforce, and integrate patients/people and families into IPE. Attendees will leave with practical skills to apply back home. Presenters are encouraged to plan most of the workshop time in active-learning and skill-building. The Nexus Fair is a 90-minute interactive learning environment that facilitates synergy among initiatives and organizations. Resource Exchange Stations are a table-top presentations, and a unique opportunity to demonstrate your interprofessional tools, educational modules, or other practical resources that may be of interest and value to colleagues in practice and education. More than an exhibit hall, the Nexus Fair is “networking with a purpose,” and provides attendees a forum to share resources with colleagues and make powerful connections. The online abstract submission system will be live on Friday, February 8, 2019. All abstract submissions will be completed online. The submission site will guide the applicant through the process. Presenters who submitted abstracts in 2018 may use their existing CadmiumCD log in information. Abstracts are formatted automatically. Presenters may access the site as often as they like to modify their abstract(s) until they officially submit, on or before the final submission deadline. Presenters will be notified of submission status immediately after an abstract is submitted.